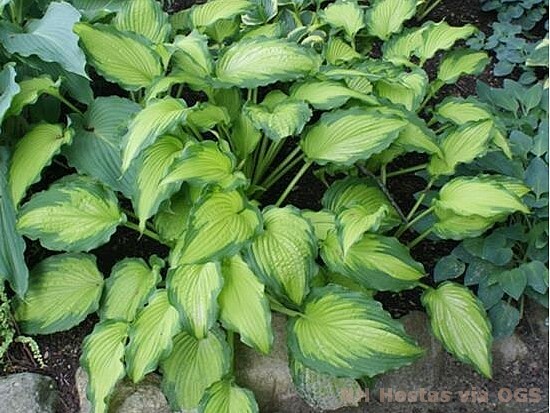 Product Information : A spectacular hosta! Beautiful slightly shiny, gold centered leaves contrasted by dark emerald green half inch rippled margin. Lavender blooms. Mature Size : 13" x 39"